A House Ways and Means subcommittee will hold its first hearing on a portion of H.R. 1, the Democrats' ethics reform bill, which demands that all presidential and vice presidential nominees from a major political party release 10 years of tax returns in order to shed light on any financial conflicts of interest including foreign investments. The hearing comes a day after House Intelligence Committee chairman Rep. Adam Schiff (D-Calif.) announced a sweeping new probe into Trump's finances, broadening his committee's investigation into Russia's alleged interference with the 2016 election. The panel will investigate "whether any foreign actor has sought to compromise or holds leverage, financial or otherwise, over Donald Trump, his family, his business, or his associates," Schiff said in a press release. Last year, Schiff expressed interest in investigating money laundering allegations involving the Trump Organization's sale of properties to Russian nationals. The broadening of the Intelligence Committee's probe follows Trump's State of the Union address in which he slammed so-called "ridiculous partisan investigations." In a tweet he called Schiff's actions "presidential harassment." Schiff said Democrats will not "be intimidated or threatened" by the president's hostility to oversight, of which a majority of Americans approve, according to a recent Washington Post-ABC poll. "For the last two years, the Republican majority has essentially been missing in action when it comes being a coequal branch of government," Schiff said. "That ended with the midterms. We're going to do our jobs." Government watchdog groups applauded the committee for holding a hearing on the importance of transparency regarding presidential tax returns—which all major presidential nominees since 1976 have released to the public, other than Trump—and urged the Ways and Means Committee to act quickly to obtain the returns. "Americans all across the country have marched in their communities, signed petitions, or made calls to their lawmakers demanding that Trump's tax returns be released," said Susan Harley, deputy director of Public Citizen's Congress Watch division. 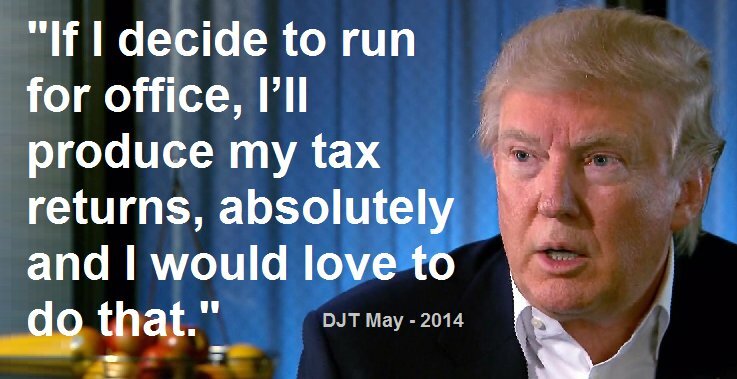 "Since the Ways and Means Committee already has the power to request the tax returns of any taxpayer—including the president—there's no need to wait for passage of H.R. 1 to act. Congress must not delay and should act now to obtain the tax information it needs to better protect our democracy against the glaring conflicts of interest that plague the current presidency." Maura Quint, executive director of the national tax fairness coalition Tax March, told The Hill that the group is "on the edge of our seats" waiting for the release, as committee chairman Rep. Richard Neal (D-Mass.) takes a "cautious" approach in building a case to force the release. Rep. Bill Pascrell (D-N.J.), who has pushed for the release of Trump's tax returns since the 2016 election, told The Hill that he predicts they'll be released within the next two to three months.